The Mammoth Pro 240 Grow Tent is designed for demanding growers, with all the needed openings for your indoor cultivation. 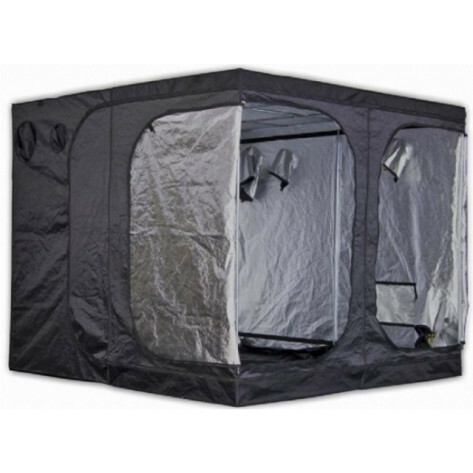 From the Mammoth Pro Series, the tent / grow room is of very high quality with a steel tube frame, strong zippers, reinforced plastic corners and very good highly reflective 210D mylar material. 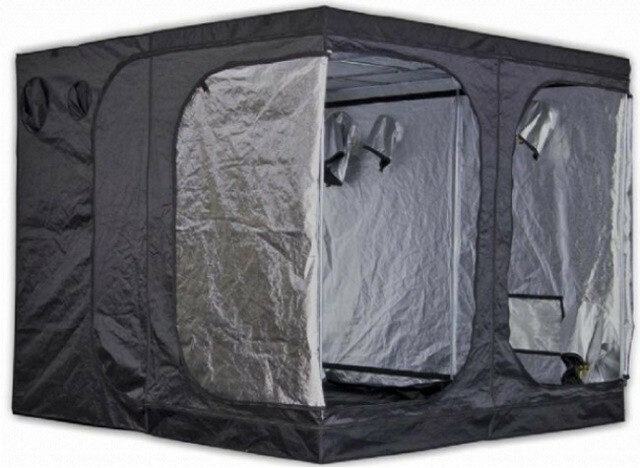 The Mammoth Grow Rooms/Tents are easily assembled and need only a few minutes for preparation. The inner covering ensures maximum light reflection while the outer layer prevents light transfer. There are some inner supports for holding lighting systems, aspirators, odour treatment filters or measuring tools. With aspirator holes as well as the side net openings for passive ventilation. The Pro tents have wide easy access doors with strong zippers. The floor is waterproof for some water but if filled up too much may leak.